Corruption is the misuse of entrusted power for private gain. Malfeasance and graft thrives in California’s state government. The well-documented corruption at the Employment Development Department, State Parks Department, Fish and Game, Air Resources Board, Coastal Commission, CalFire, and this year, in the State Senate, seems to continue, with business-as-usual by the Legislature. This is Part ll about the unelected bureaucrats on state boards and commissions passing laws, and the Legislature which appears to condone this. Part l covered: 1) the Coastal Commission, 2) Air Resources Board, and 3) Parks Department. Part l is available here. Despite California’s historical dry climate and conditions, this continues to be the number one state in farm and ranch production. California’s 80,500 farms and ranches received $42.6 billion for their output of milk, grapes, almonds, nursery plants, cattle and calves, strawberries, lettuce, walnuts, hay and tomatoes. Even with drought conditions, the vast agricultural expanse of the Central Valley learned to use its water wisely, contrary to a great deal of misinformation. But according to the US Geological Survey, since 1980, the Central Valley’s population has nearly doubled to 3.8 million people. In addition to difficult dry conditions, farmers have been cut off from water since 2010, thanks to a federal judge who chose to protect a non-indigenous fish, the Delta Smelt, over California’s agricultural food production in the Central Valley. On August 30, the last day of the 2013-14 legislative session, in the wee hours of the morning, California lawmakers passed three bills to regulate groundwater. Gov. Jerry Brown is expected to sign the bills into law. The bills order local water agencies to create “groundwater sustainability plans,” to bring groundwater basins up to “sustainable levels” by 2040. Included are hefty fines for violations. “If signed by the governor, these bills would allow for the monopolization of California’s groundwater to the detriment of individual farmers, including farmers who have not created the overdraft problem yet may someday need groundwater to keep their crops alive,” California Farm Bureau Federation President Paul Wenger said. The Legislature also passed a $7.5 billion water bond, which will be on the November ballot. The groundwater bills were opposed by both Democrat and Republican lawmakers from the Central Valley. 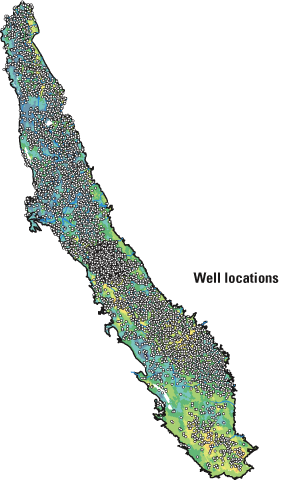 Supporters of groundwater regulations claim the Central Valley consumes twice as much groundwater as can be sustained. 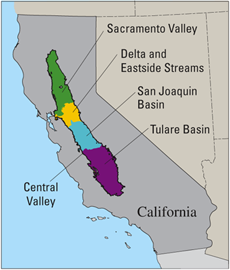 However, water officials with the state of California, and politicians, have long known that without an abundant supply of groundwater, Central Valley agriculture would disappear, and take $42 billion of California’s economic sustainability with it. While California was enjoying a period of uncharacteristic moisture levels, it would have been a perfect time to build dams to store water for the dry future. However, since 1970, California’s population increased 87 percent to nearly 38 million. The state’s water reservoir capacity increased only 26 percent. It appears the agriculture industry will be made to pay the price for declining water supplies, so California’s liberal cities don’t have to. The last new dam of significant size built in California was the New Melones Dam, on the Stanislaus River near Jamestown, in 1978, more than 35 years ago. While California has a groundwater issue, we also have a huge agricultural economic issue, which is now at the mercy of politically motivated, unelected commissions and water board bureaucrats. Mike Sutton, the commissioner of the California Fish and Game Commission, is also the well-compensated director of Audubon California, one of the two sponsors of AB711, which banned the use of lead ammo in the state. Assembly Bill 711, by Assemblyman Anthony Rendon, D-Southgate, was passed by the Legislature and signed into law by Gov. Jerry Brown in 2013. The bill essentially banned hunting under the guise of “protecting the environment.” By prohibiting the use of all lead ammunition for hunting in California, coupled with the federal government’s attempt to ban non-lead ammo, hunters will be left out in the woods with an empty weapon. In addition to the many anti-gun bills authored by California Democrats, they’ve discovered the way around these unpopular bills is by banning ammunition. AB 711 is just one of many bills passed by the Legislature to weaken the Second Amendment of the U.S. Constitution. Hunters can’t just use non-lead ammo because the federal government is on the verge of banning non-lead ammo. In California this would mean there would be no ammunition available at all for hunting, despite the tremendous economic benefits of the hunting industry. * “The annual spending by America’s 14 million hunters amounts to $61 billion. * “Hunting supported 704,600 million jobs, or nearly 1 percent of America’s entire civilian labor force, in all sectors of the American economy. * “Hunting created household income (salaries and wages) totaling $416.1 billion, which is roughly equivalent to 25 percent of America’s entire military payroll. * “Hunting added $1.4 billion to state tax revenues, or nearly 1 percent of all annual state tax revenues combined. The department, formerly named the Department of Fish and Game when it was more friendly to hunters, has tried for several years to ban lead ammunition in California, claiming the California Condor has been dying off because of lead bullets. Unable to mandate the ban because of questionable scientific practices, the agency turned to the Legislature. But charges of phony science plague the attempted ban. “Without such a ban, extinction of the California condor is inevitable, according to a 2012 study by the National Academy of Sciences,” Yale Environment 360 claims. Despite attempts to whittle away at the Second Amendment, the left has actually lost this debate. However, California Democrats don’t seem to understand this, busy capitalizing on tragic mass shootings, and arguing for more gun control laws that would do absolutely nothing to prevent these types of crimes. In 2008, the U.S. Supreme Court ruled in District of Columbia v. Heller that the Second Amendment protected the individual right to keep suitable firearms at home for self-defense. This case overturned Washington D.C.’s ban on handguns. Even the 9th Circuit Court of appeals ruled that California denying people the right to carry firearms in the state, violates the second amendment. August 25, 2014, California’s 10-day waiting period for gun purchases was ruled unconstitutional by Federal Judge Anthony W. Ishii, a senior judge with the U.S. District Court, Eastern District of California. Under the court order, the California Department of Justice must change its systems to accommodate the unobstructed release of guns to gun buyers who pass a background check and possess a California license to carry a handgun, or who hold a “Certificate of Eligibility” issued by the DOJ and already possess at least one firearm known to the state. California ranks 47th, at the bottom of several lists, ranking gun ownership rights, along with Illinois, Washington D.C., New York and New Jersey. 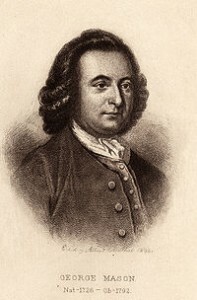 George Mason, a delegate from Virginia to the U.S. Constitutional Convention, believed the relationship between arms and liberty was crucial, and said history had demonstrated that the most effective way to enslave a people is to disarm them. The Founding Fathers wrote into the Bill of Rights that rights are human rights endowed with by our Creator, and not rights granted by the government. The argument over the Second Amendment is not just about preserving this right, it is about making sure the government cannot take away citizens’ rights of any kind. SB 808 (de Leon): Criminalization of home-built firearms. Bans the sale, transfer, and inheritance of home-built firearms. Requires you to permanently deface all un-serialized handguns, and all long guns made after December 16, 1968, with a DOJ-issued serial number – even if they are currently legal. This bill will go into effect retroactively. AB 1014 (Skinner): Creates “Gun Violence Restraining Orders” and “firearm seizure warrants” to strip people of Second Amendment rights and their property. AB 1609 (Alejo): New firearm importation regulations, penalties. SB 199 (de Leon): Redefines BB guns/imitation firearms, adds new manufacturing requirements. This entry was posted on Tuesday, September 9th, 2014 at 9:57 pm and is filed under Blog Posts.